The 16th November 2012 episode of Friday Night SmackDown! starts with a video hyping Survivor Series and recapping Monday Night Raw (click here for our Raw report), followed by The Miz presenting “Miz TV” with his guest Mick Foley. Mick Foley says that he had some reservations when he put him on the ballot for the fans to choose who should be the last member of Team Foley, and he wonders if The Miz that will show up to Survivor Series will be the WrestleMania-winning one, or the excuse-giving, vacation-taking one. The Miz doesn’t think that question even needs to be asked, and that he doesn’t need a “rah-rah speech” unlike the others on the team, but Foley is glad that he is getting it all out there, as he decided to have a team meeting on The Miz’s show. The rest of the team make their way out, and Foley urges them to begin talking. Kane and Daniel Bryan start it off but quickly start arguing about each being the WWE Tag Team Champions, until Kofi Kingston interrupts to attempt to play peacekeeper. The Miz thinks that is ridiculous, considering the fact that Kingston kicked him in the head after he tried to shake his hand, and Kingston warns him that if he doesn’t back up, then he’s going to do it again. At this point, Mick Foley says that it seems that the voice of reason is going to be Randy Orton. Randy Orton points out that he has spat in Foley’s face a number of times, and that Foley threw him in a pile of thumb-tacks once, but he says that he still likes him a lot more than the rest of the members on the team, whom he says he doesn’t like or trust at all. Dolph Ziggler’s music hits and he makes his way out onto the stage with the other members of his team, where he says that in the ring is the definition of “dysfunction”, as he says that Team Ziggler doesn’t have any egos, but are all united behind one charismatic leader. Alberto Del Rio disagrees, as he doesn’t think that Ziggler has what it takes to be the leader of the team, and he thinks that there is only one person who does – namely Del Rio himself. Ziggler and Del Rio argue between each other until Foley interrupts and suggests a number of matches between the teams. Foley suggests that The Miz and Randy Orton face Dolph Ziggler and Alberto Del Rio, followed by Wade Barrett facing Kane. Daniel Bryan isn’t too happy with the suggestion and repeatedly yells “No!” until Damien Sandow makes his presence known. Sandow says that Team Foley has a goat-faced one-word wonder running around with an anger problem, his tag team partner Kane whose brutality is the reason for Sandow’s tag team partner Cody Rhodes not being there on this episode, and a “braided neon mute” who claims he has the ability to fly. After this outburst, Foley makes another match – namely Damien Sandow taking on Kofi Kingston, with the match taking place right now. The match sees Sandow get the victory, when he rolls up Kingston for the 3-count. After a video recapping the events of Raw involving AJ, John Cena, Vickie Guerrero, and Dolph Ziggler, Aksana, Eve Torres, and Alicia Fox are pitted against Natalya, Kaitlyn, and Layla in a Six-Diva Tag Team match which sees Kaitlyn get the victory for her team, when she hits Alicia with a reverse DDT for the 3-count. After an interaction backstage involving Booker T and Sheamus, Randy Orton and The Miz go against Dolph Ziggler and Alberto Del Rio in a Tag Team match which sees The Miz get the victory for his team, when he tags himself in and hits Del Rio with the Skull-Crushing Finale for the 3-count. Afterwards, Orton shows his displeasure at The Miz tagging himself in by hitting him with an RKO. Now, Sheamus makes his way to the ring and says that The Big Show crossed the line, as he attacked himself and William Regal from behind. He says that he is tired of talking and running around, and that although he has a match with Show at Survivor Series, he doesn’t want to wait, so he thinks that it is time to fight. The Big Show’s music hits and he makes his way out onto the stage, but he says that Sheamus just doesn’t get it. He says that just like last week, nothing is going to happen when he calls him out – other than perhaps getting his friend Regal knocked out once again. He admits to being scared, but not of what Sheamus might do to him, but instead what he might do to Sheamus. Sheamus decides to exit the ring and makes a bee-line for Show, but he is cut short by Booker T making his way out and stopping him. Booker T says that Sheamus gets Show at Survivor Series, but he is going to have to ask him to leave the building. Sheamus doesn’t want to comply, but after Booker orders him to do so, it appears that he doesn’t have much choice about it. After an interaction backstage involving The Big Show and Booker T, Kane takes on Wade Barrett in a match which sees Kane get the victory as a result of a disqualification, when the rest of the members of Team Ziggler rush to the ring and attack him. Daniel Bryan, Kofi Kingston, and Randy Orton hit the ring at the urging of Mick Foley and manage to be the ones left standing in the ring after the brawl is over, and it is at this point that The Miz walks out onto the stage in apparent pain from the earlier RKO from Orton, as he stares at the rest of his team in the ring. Next, R-Truth joins commentary as Antonio Cesaro is pitted against Sin Cara in a match which sees Cesaro get the victory, when he hits Cara with the Neutralizer for the 3-count. Afterwards, Truth asks for everyone’s attention and then proceeds to quote “Hacksaw” Jim Duggan by starting a USA chant as he steps into the ring, prompting Cesaro to exit the ring and back off up the ramp. Next up, The Big Show goes against The Great Khali in a match which sees Show get the victory, when he hits Khali with the K.O Punch for the 3-count. Afterwards, Sheamus’ music hits as an apparent mind game due to Sheamus not making his way out, but when Show leaves and is headed to his bus in the parking lot, he is met at the door of the bus by Sheamus, who starts to attack him until Show slams him against the windshield of a car. 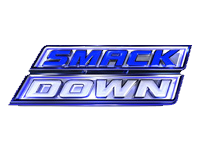 Just when things seem to be over, Sheamus recovers from that and starts to attack Show again, with referees and security having to pull him away from the downed Show, as SmackDown! goes off the air.